In celebration of the Holiday season, Genesis is offering a free complimentary courier service on 8 Genesis favourite titles until 31st December. 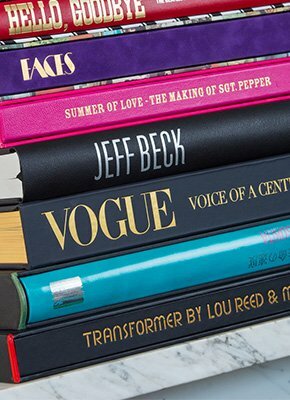 These titles will be T.O.T.A by The Rolling Stones, California Dreaming by Henry Diltz, Hello, Goodbye by Shimpei Asai, Yoko Ono Infinite Universe at Dawn, Easy Company In Photographs, A Day in the Life by Michael Ward, VOGUE - Voice of a Century and The Traveling Wilburys. To receive your book before the holidays, and claim your free shipping, order before Monday 18th December.